BBC Producer Robert Llewellyn interviews SCE President Ron Nichols (left) about battery storage built by Tesla at the Mira Loma substation. BBC Producer Robert Llewellyn interviews SCE staff about battery storage built by Tesla at the Mira Loma substation. The BBC recently visited SCE's Mira Loma substation to talk about battery storage built by Tesla. The Mira Loma facility recently came online and the batteries will charge enough energy to power 15,000 homes. Robert Llewellyn is known in the U.K. as a host of the television show “Scrapheap Challenge,” precursor to “Junkyard Wars.” But as the presenter in an upcoming BBC documentary, he is faced with another type of challenge: bringing clean energy technology to his tiny village in England. In pursuit of his objective, Llewellyn set out last October from Temple Guiting, an idyllic hamlet about 20 miles south of Stratford-upon-Avon, and headed overseas to explore the science behind clean energy, visiting projects at the forefront of the energy revolution. BBC Producer Robert Llewellyn interviews SCE President Ron Nichols and staff about battery storage built by Tesla at the Mira Loma substation. 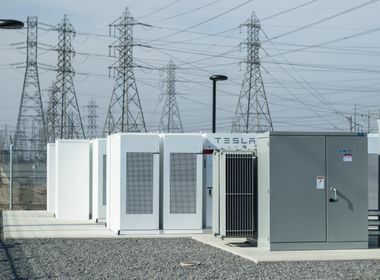 One of his first stops: Southern California Edison’s Mira Loma substation in Ontario, where Tesla Energy had begun building a 20-megawatt battery storage project. 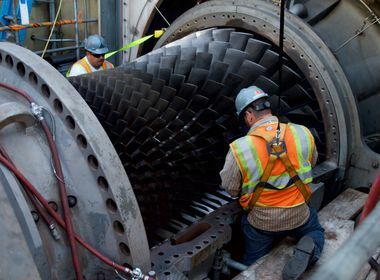 The battery facility, which recently came online, increases SCE’s grid reliability by providing battery storage of electricity during off-peak hours and using the stored energy to meet demand during peak. During filming, Llewellyn asked SCE President Ron Nichols whether investment in battery storage was a game changer for the company. 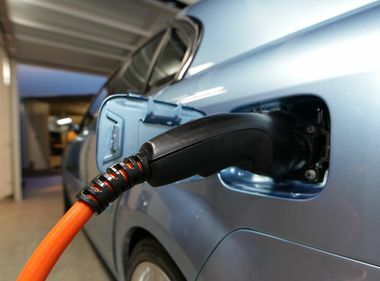 Although batteries don’t produce new energy, Nichols said, they allow excess renewable energy generated during the day to be stored and used precisely when it is needed. Llewellyn, a rooftop solar customer himself, gets it. But he wasn’t sure how his fellow residents of Temple Guiting would react when he brought them together for the first time two years ago to discuss powering the entire town with renewable energy. “I thought, no one will come, they’ll all hate it and won’t want anything in the village,” an historic settlement with buildings dating back a thousand years or more. But, to his surprise, they were all very enthusiastic about the idea. Fortunately, the BBC liked the idea as well, and greenlighted the documentary project. The film crew also visited Tesla Energy in Fremont, Las Vegas, a solar farm and a small battery manufacturing company. The documentary, entitled “Village to Vegas,” will air on the BBC in the spring and will be distributed through Netflix and other movie outlets afterward.